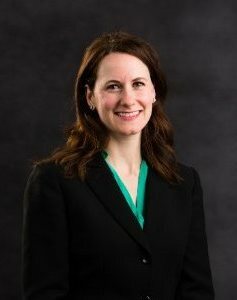 MILWAUKEE – June 13, 2017 – Amanda Davis has joined Associated Bank as senior vice president, senior counsel, Legal. She is responsible for assisting with the review and negotiation of technology and other vendor contracts. Davis brings more than 10 years of legal experience to Associated Bank. Previously, she held the position of general counsel at Advicent, where she was responsible for negotiating software licensing contracts and other third-party agreements; providing counsel during acquisitions and post-acquisition integration activities; and advising on other corporate matters. Before that, she served as senior staff attorney at Zywave. Davis holds a Juris Doctorate degree from New York Law School. She received her Bachelor of Arts degree from the University of Wisconsin-Milwaukee. In the community, she volunteers with Pathfinders Milwaukee. She is located at 401 E. Kilbourn Ave.